This handbook explains how to use remote sensing technology to estimate rice crop area and production to support food security policymaking in Asia and the Pacific. 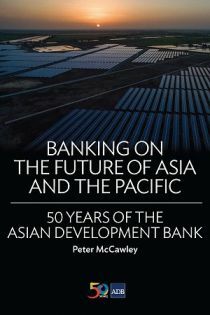 This book responds to a growing international interest to understand the People’s Republic of China’s urbanization success story over the past 40 years, in which new towns and new districts have been instrumental. This publication is an initiative of the Government of Papua New Guinea that presents a step-by-step guide on how to rehabilitate mangroves.